One way baby boomers adjust to longer lifespans and inadequate retirement savings is to continue working. There’s just one problem: it can be more difficult for some people in their 50s and 60s to get or hold on to a job. But things are improving. The job market is on a tear – 300,000 people were hired in January alone – and baby boomers are jumping back in. 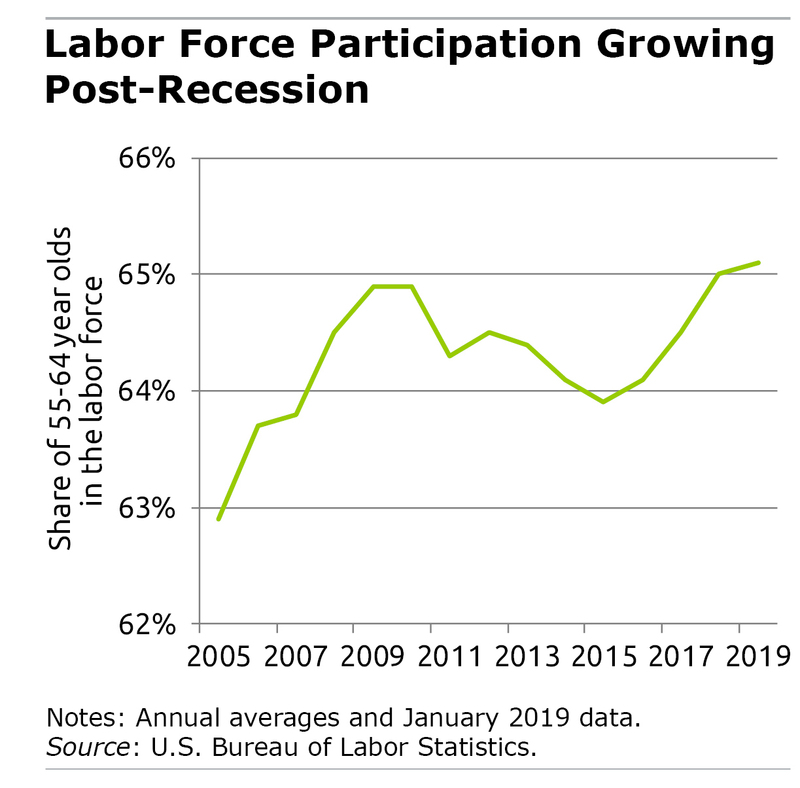 A single statistic illustrates this: a bump up in their labor force participation that resumes a long-term trend of rising participation since the 1980s. In January, 65.1 percent of Americans between ages 55 and 64 were in the labor force, up smartly from 63.9 percent in 2015. This has put a halt to a downturn that began after the 2008-2009 recession, which pushed many boomers out of the labor force. The labor force is made up of people who are employed or looking for work.